DOW Filmtec TW30-2026 RO Membrane 220 GPD, a 1.8" x 26" Reverse Osmosis Membrane that can provide RO quality water up to 200 gallons per day at a 5% recovery rate. It can operate at feed pressures ranging from 225 psi to 600 psi with 99.5% salt rejection. This element offers the highest quality water for small commercial systems purifying less than one gallon per minute(0.2 m3/d) of RO water. Filmtec RO elements separate salts from water and are produced with an automated fabrication process for precision, consistency, and reliability offering high rejection of dissolved solids and organics and operate very efficiently at lower pressures. 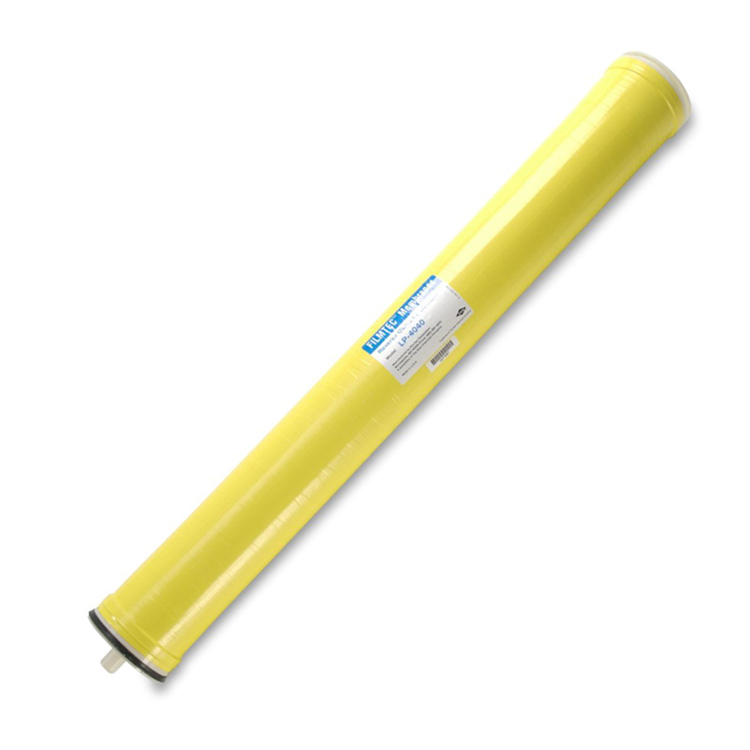 The TW30 series Tap Water Thin Film-Commercial RO membranes are tape-wrapped making them suitable and recommended for systems with one or two elements per housing. In addition to the highest quality water and the lowest energy costs, DOW membranes also deliver savings through its increased resistance to fouling by providing the industry’s longest lasting and most reliable performance.. This membrane is a part of the Small Commercial Elements line of products by FILMTEC and are applied in commercial water treatment systems, food service, hospitality industry, medical and research institutions. Its advanced technological design is manufactured for excellent structural stability and more productivity than other elements. Culligan Compatible TFC(Thin Film Composite) Membrane. * Permeate flow rate and salt rejection based on the following test conditions: 2000 ppm NaCl, 225 psig (15.5 bar), 77°F(25°C), 10% recovery. Permeate flow rates for individual elements may vary +/-20%. 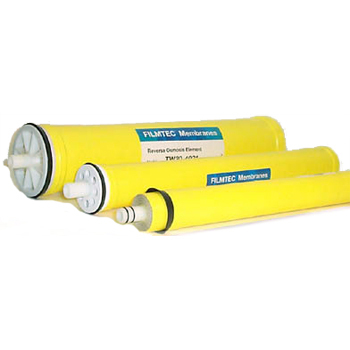 - The Filmtec TW30-2026 membrane has double o-rings on each end of the permeate tube. - Proper start-up of reverse osmosis water treatment system is essential to prepare the TW302026 industrial membrane elements for operating service and to prevent membrane damage due to overfeeding or hydraulic shock.